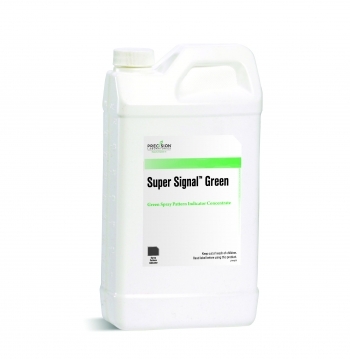 Concentrated green spray pattern indicator formulated to further reduce golfer awareness of pesticide applications compared to ordinary blue spray colorants by providing a temporary green tint to treated areas. 16 – 32 fluid ounces per 100 gallons of spray solution. Application rate, nozzle type, turf color, turf height and individual water conditions may influence variations from the above rate.